Bison (Buffalo) meat is just as, if not more, tasty than beef. And, it is much more lean and healthy for you. When you prepare this Herb Rubbed Buffalo Steak recipe, and are a beef eater who is not familiar with bison, you may be surprised at how comparatively short the cooking time is. This is because buffalo meat is so lean. And the flavor is incredibly delicious. In a small mixing bowl, combine and blend the paprika, salt, black pepper, garlic and onion powders, oregano, thyme, and cayenne pepper; stir in the olive oil, mix thoroughly, then set aside for now. Cut away most of the layer of fat, but leave a little, because buffalo meat is so lean, you want some fat to make the cooked meat nice and juicy. Spread the seasoned oil mixture all over the surfaces of the slab of meat. Rub the seasoning into the meat well. Now place the seasoned and rubbed meat on a rack in a shallow roasting pan. Roast in the oven for 15 minutes at 375 degrees, then reduce the temperature to 300 degrees and roast for just another 25 to 30 minutes for rare, 35 to 40 minutes for medium well, and 45 to 50 minutes for well done. Remove the roast from the oven, wrap the slab tightly with foil, and allow to cool and “set up” for 10 – 15 minutes. Carve the roast into nice thick slices, and serve your Herb Rubbed Buffalo Steak dinner. Goes great with baked potatoes and any favorite vegetable side dish. 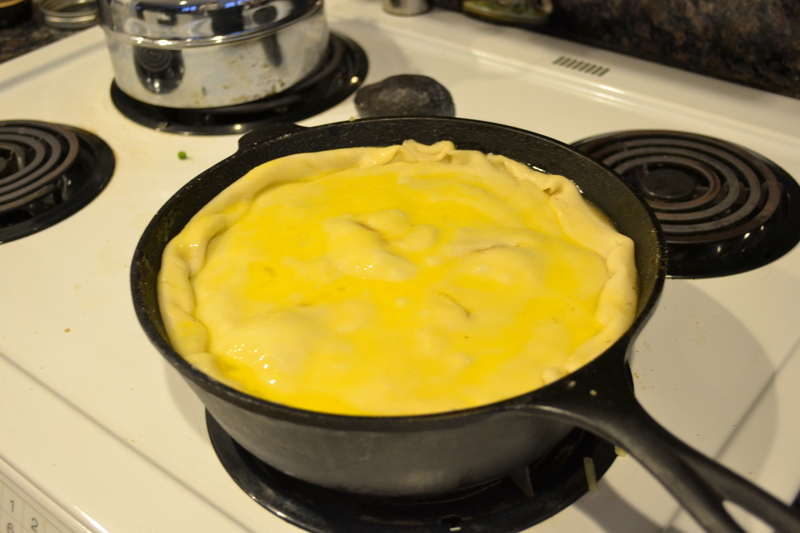 To make the dough, make a well in the flour and drop the eggs and water in. Scramble the eggs in the center with a fork and then incorporate the flour until you get a shaggy mass. Knead this well for 6 to 8 minutes, then wrap the dough in plastic wrap and set aside for an hour. To make the filling, salt the doves well while you heat up the duck fat in an ovenproof pan. Pat the birds dry and brown them well on all sides. When you start this process, preheat the oven to 350°F. Once the doves are browned, add the garlic cloves to the pan and pop it into the oven and roast for 30 minutes. Remove the doves and garlic to cool. 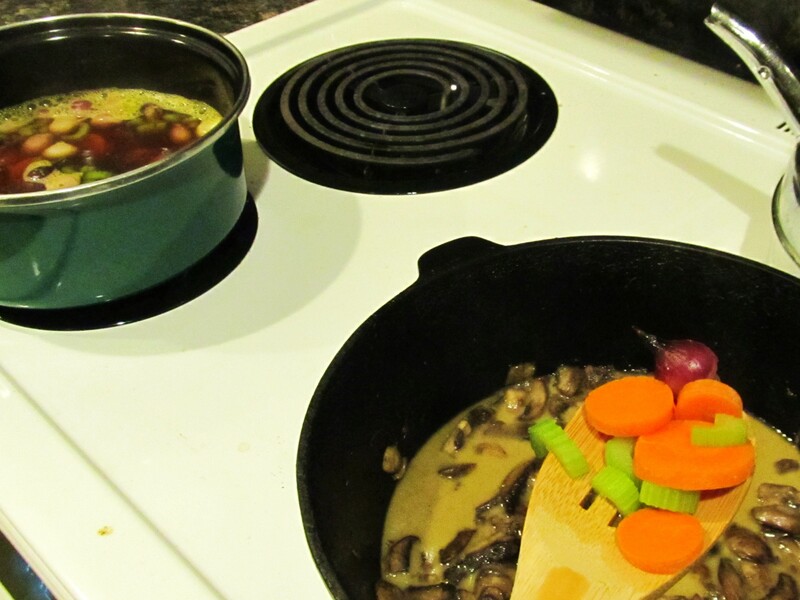 Set the pan on the stove and deglaze with the sweet wine. 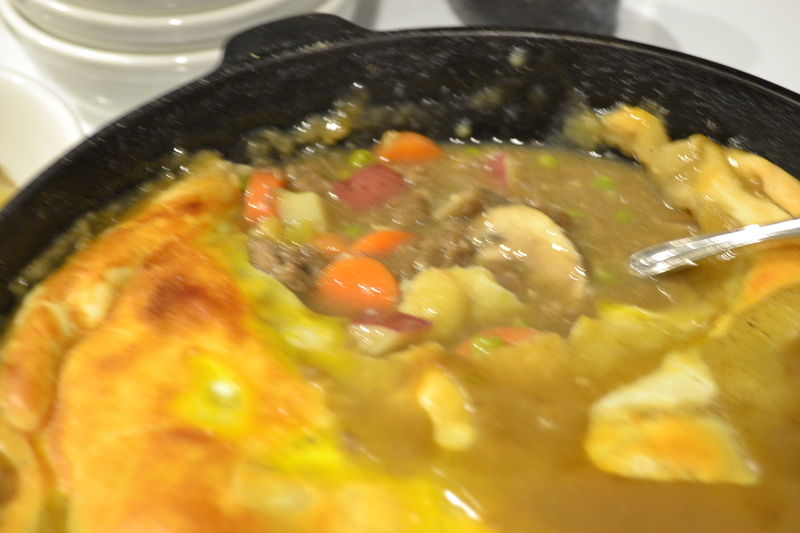 Scrape down the pan to incorporate everything. Let this boil for a few minutes, then turn off the heat. Pick off all the meat from the doves. Chop the meat and garlic roughly and add it to a food processor. Add the celery seed, rosemary and black pepper, as well as some of the liquid and fat from the roasting pan and mix everything into a fairly smooth paste. Taste and add salt if you need to. Roll out the dough in a pasta maker or with a rolling pin. Use something round to cut out circles for tortellini. Put a heaping teaspoon of filling in the center of the circle and fold it into a half-moon, and wet the edges with a little water to seal. This recipe makes about 40 to 45 tortelli, or twice that many tortellini if you make them small. Set each one on a baking sheet that you’ve dusted with semolina flour or fine cornmeal. To finish, melt the butter in a wide pan and add the juniper and rosemary. Keep this over low heat while you boil some water. Boil the tortellini until they float, and then for 1 minute more. Move to the butter, toss to coat and put them on the plate. Grate some cheese over them and serve. Coat the doves with olive oil and salt them well. Stuff each breast with sage and a bay leaf. Get your grill hot. Set the doves breast side up and cook them over medium-high buy metronidazole 200mg tablets heat, with the grill cover closed, for six minutes. Open the grill cover and turn the doves over. Brush the birds with some bacon fat. Let them cook this way for a minute or two, just to get a little crispy. Turn the doves on their sides and grill for another minute or two — for each side. Brush with more bacon fat. Dust with the smoked paprika and the black pepper and remove from grill. Let them rest for five minutes. Heat oven to 350 degrees. Lightly grease a casserole dish. Saute celery, onion, and parsley in butter over medium heat until tender. Add remaining stuffing ingredients. Mix until moistened. Place half of stuffing mixture in prepared casserole. Arrange dove breasts over stuffing. Cover completely with remaining stuffing mixture. Bake, uncovered, until dove is cooked through and tender, about 1 hour. Boil chicken broth with celery, onions, garlic, mushrooms, salt and pepper. Add doves and simmer until tender, about 20 – 30 minutes. Remove doves to cool. Return broth to a boil. Meanwhile, lightly flour a work surface. Mix flour with water to form a ball of dough, not too sticky. Roll dough into a very thin rectangle. 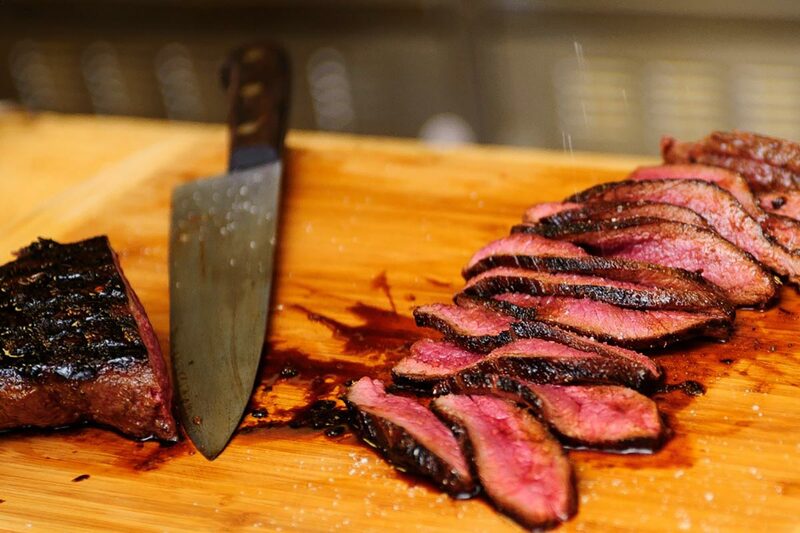 Cut into strips. (A pizza cutter works well.) Pull each strip up from surface, stretching slightly to make even thinner. Drop strips into the boiling broth one at a time. Cook for approximately 20 minutes. Shred dove meat. 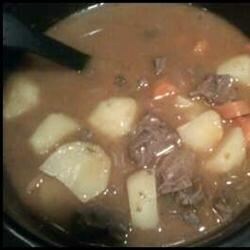 When dumplings are cooked, add shredded dove meat to broth and adjust seasonings. Serve garnished with parsley. Serves 8. Place all of the ingredients except the honey, doves, and black pepper in a food processor or blender and blend until smooth, about a minute. Pour the marinade and the doves into 1 or 2 large resealable freezer bags and toss in the fridge overnight. The next day, transfer the doves to a plate and bring marinade to a boil in a small saucepan. If you want a hit of sweet and a little spicy, like a Portuguese BBQ sauce, add the honey. Get your grill really hot. You want the temperature to be at least 550°F (287°C) although 600°F (315°C) is better. Place the doves on the grill, breast side up. Cover the grill and cook the doves, undisturbed, for 4 to 6 minutes, depending on how done you like them. Around four minutes will result in medium-rare doves. Remove the birds from the grill and let them rest for at least a few minutes. Pour the rest of the warm sauce over the breats and grind some black pepper on top. Prepare grill. Brush doves with oil and season with salt and pepper. While the grill is heating, prepare the glaze by combining the orange juice, orange zest, rosemary, honey, pinch of salt, and pepper. 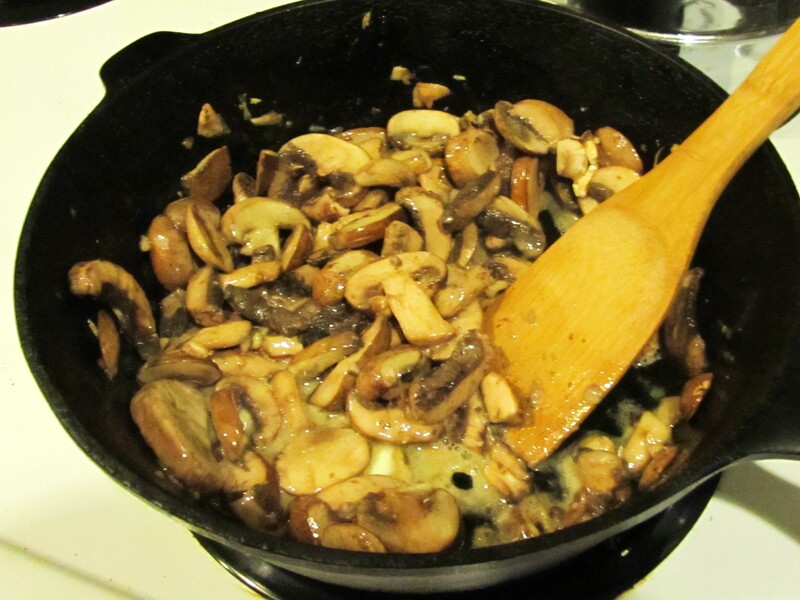 Bring to a good simmer over heat and simmer for 15 to 20 minutes until it has reduced and thickened. When the grill is ready, place the doves on the grill, breast up. Grill for three minutes with the cover on. Remove cover, do not flip, and brush the glaze on each bird. Cover and grill for 9 to 11 minutes depending on how well cooked you like your dove. Remove the doves to a serving platter. Time to make some room in the freezer for the 2017 fall hunting season? 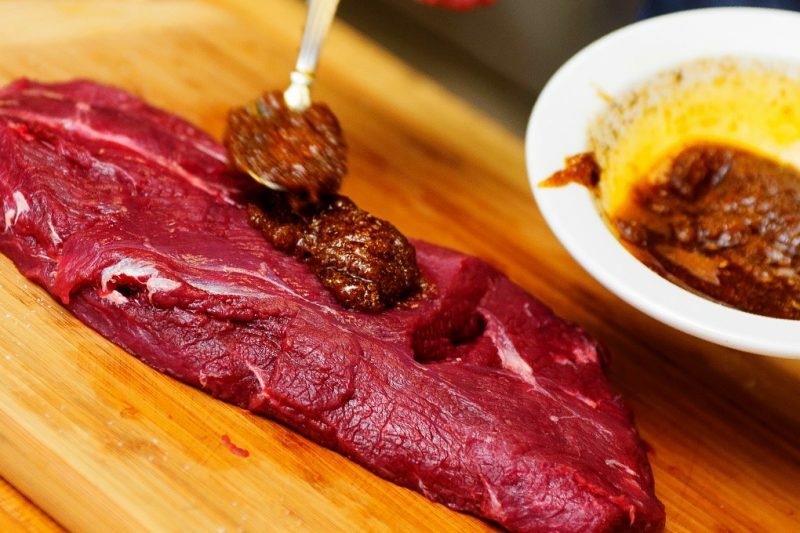 Here’s a scrumptious maple marinade recipe for a cast-iron seared venison, elk or other big game steak that produces a caramelized crust on a plush, butter-tender, eye-popping, sub-primal cut of meat. Are you hungry yet? 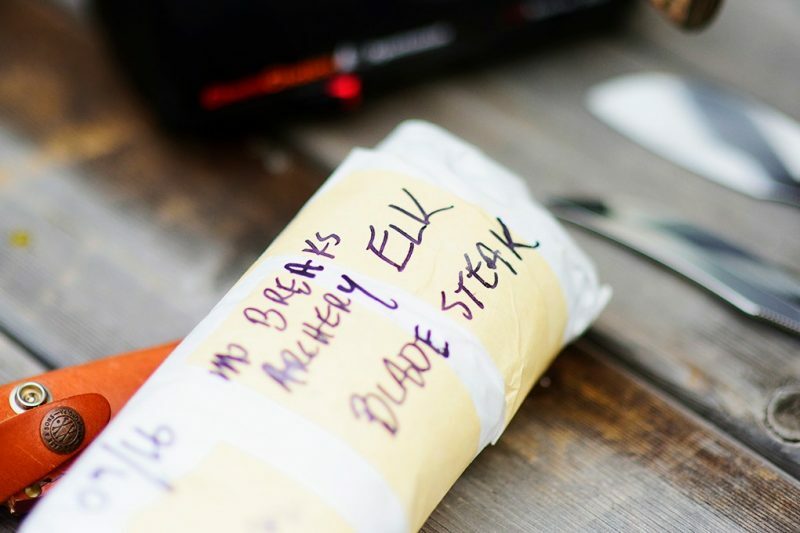 Use it on a freezer steak, or save this one for a fresh cut from deer camp. Either way, start off with super sharp knives so you can carve juicy, succulent slices of tender, tantalizing medium-rare meat for any steak sandwich you want to create. That is, if you don’t gobble them up hot off the grill first! 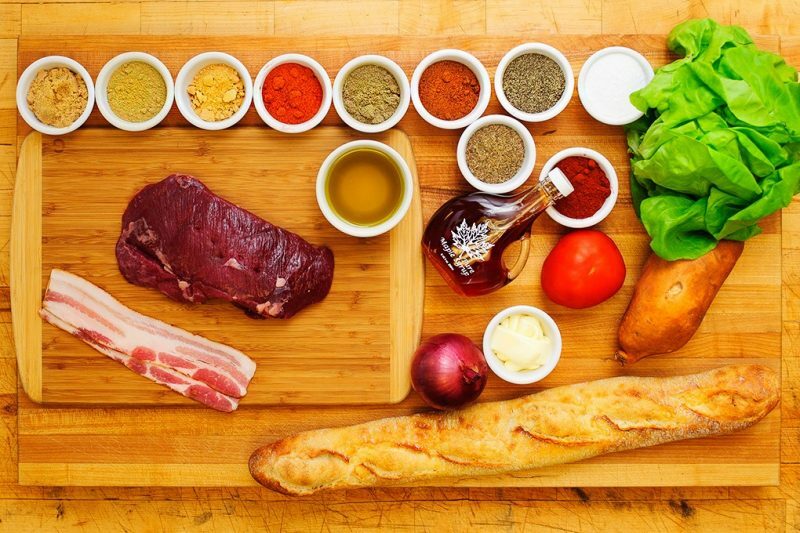 Maybe you are thinking a VBLT (venison, bacon, lettuce and tomato) as shown in the photo above, or maybe elk sliders? 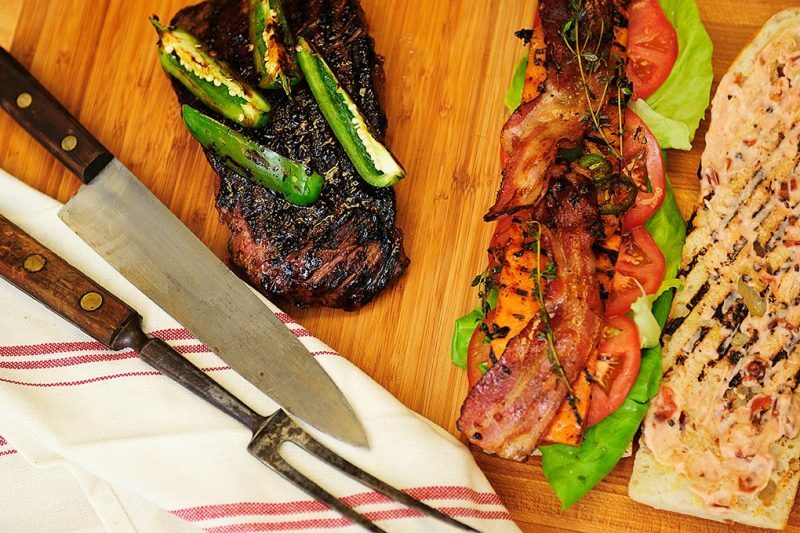 In the past, I’ve combined the tongue wagging slabs from this recipe with thick-cut bacon, heirloom tomatoes, griddle grilled sweet potato, lettuce, and a peppered wild plum aioli spread for a VBLT. I’ve also used them to make elk sliders that will knock you silly. Build this sandwich on mini pretzel buns with a double soft cream cheese, slaw, and an onion ring for garnish. This maple marinade is well suited for venison, elk, pronghorn, mountain goat, moose, bison or any other large game animal. Mix all ingredients into a paste. If desired, add more seasoning according to what your taste buds are telling you. Halve the mixture and then massage into meat tissue on each side. Wrap in plastic wrap. Refrigerate 2 to 24 hours. When you are ready, heat the griddle to medium high. You don’t want it too high or your brown sugar and maple syrup components will burn. 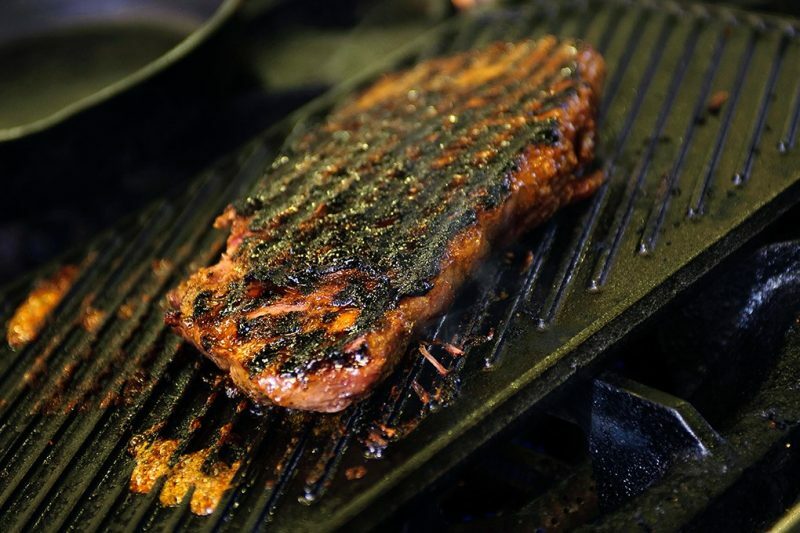 When the griddle is hot, drizzle some olive oil on the pan and lay on the steak, searing the first side. Don’t flip flop the meat from one side to the other. Leave it alone. After 5-7 minutes, turn the meat and allow to char for another 3-5 minutes. The absolute best way to serve this cut is medium-rare to rare, so take care of that steak you worked so hard to harvest! Throw on the jalapenos, seeds and all, and char. 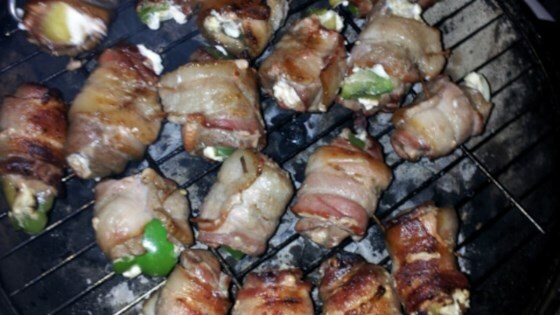 A bite of one of these along with a jigger of whiskey, or Kentucky bourbon, will warm you like nothing else when you come in from your deer stand or down off the mountain. 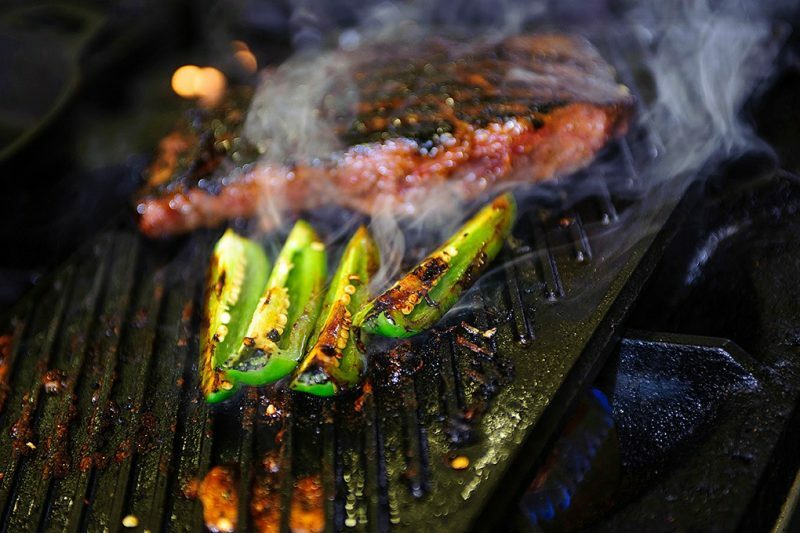 Remove steak and jalapenos and let rest for about 5 minutes. Slice thin and devour. 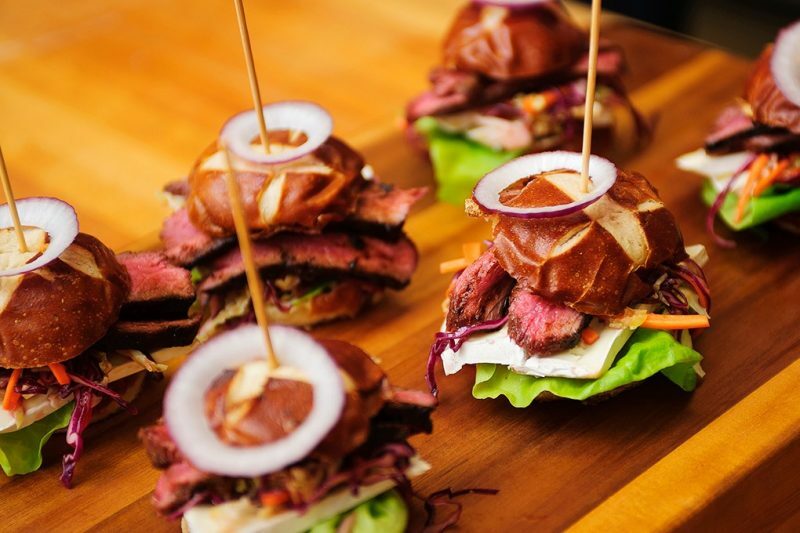 Or, prepare this succulent bite as the hero ingredient in a steak sandwich of choice (below). When cool air causes the maples to shiver and blush brilliantly in the landscape of the Northwoods, upland hunters head out. Traversing woodlands, brush and brambles, they know this season. Similarly, the season offers an opportunity to honor the glorious admiral of the green sea when the harvest is prepared and shared. In my kitchen, dishes enjoyed by a small clutch of family, or friends, often take the form of starter plates. I do this for two reasons: First, experience has taught that reluctant wild game eaters can be converted to big game plates if they are introduced to wild game flavor profiles slowly and on a graduated intensity-of-flavor scale. Second, by sharing and showcasing the deliciously simple flavors of wild sustainable meats, important dialogue is created around the table. I serve non-hunters often, but when they taste wild food it immediately connects them to something primal. At first mouthful, they experience the flavor of the land, and hunting in a way they never imagined — why it is necessary to preserve public hunting lands, invest in creating and maintaining habitat for species such as ruffed grouse, and what motivates hunters. All of these are topics that come to the table as lively discourse. There is something about breaking bread, putting good food in people’s bellies, and pairing it with good wine that creates community, fellowship — and empty wine bottles — like nothing else. Grouse breasts on the chopping block before smoking. 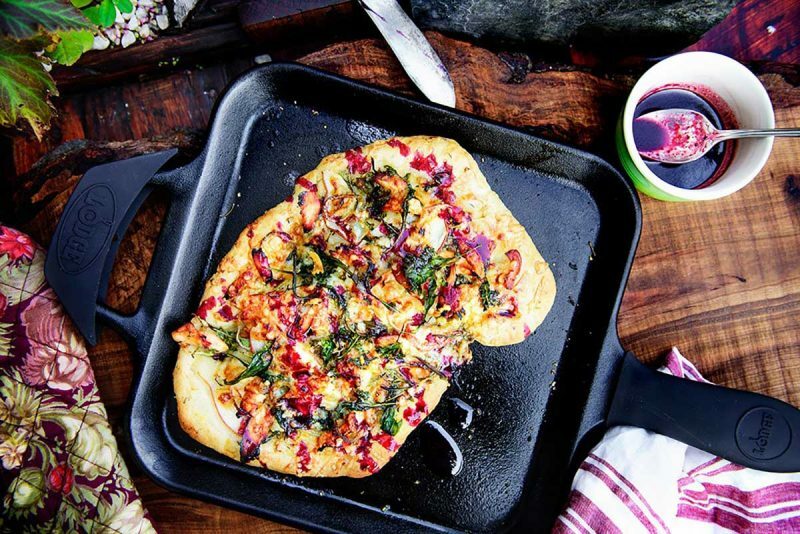 In keeping with the upcoming upland season, here’s a recipe for a rustic smoked grouse pizza, with pear, arugula, shallot, gruyere cheese and a blackberry drizzle. The smoky character of the grouse, the accompanying peppery bite of arugula, tang of BBQ sauce, and sweetness of blackberry drizzle makes for a mouth-watering appetizer sure to delight your guests, and encourage great conversation. P.S. Never mind the geometry of your pie — only taste matters! 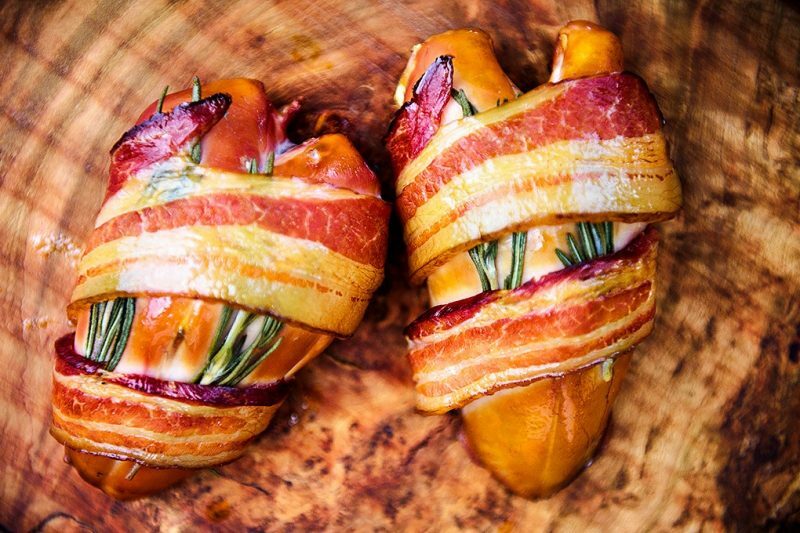 Smoked grouse breast wrapped in streaky bacon with sprigs of rosemary. In a small pan, over medium heat, combine blackberries, (reserving a few for garnish), with orange juice. Simmer until berries are soft. Pour mixture into a small strainer or sieve, then push through to remove seeds. Return to pan and reduce juice by about 1/3. Whisk cooled juice with a bit of olive oil, salt and pepper to make the sauce. Set aside. When you are ready to make the pizza, preheat your oven to 450 degrees. 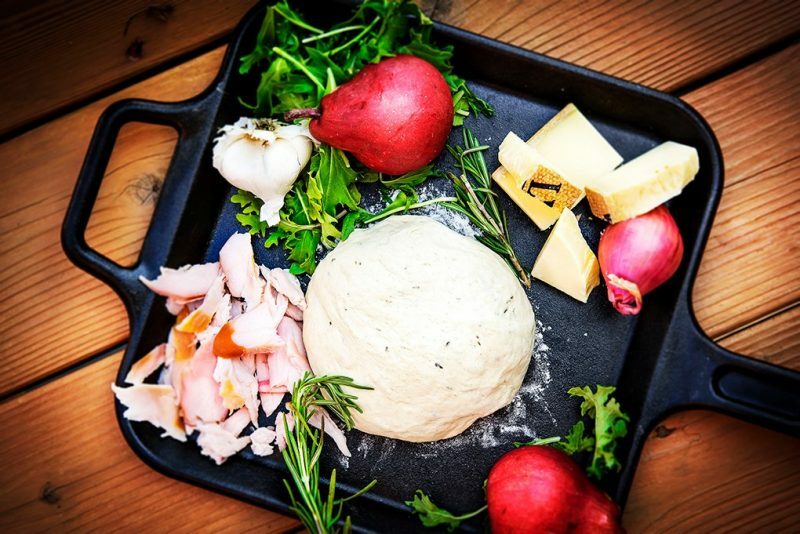 If you like to bake on a pizza stone, by all means use it. I don’t have one, so I bake on a preheated cast iron flat griddle instead. Grab your pizza dough and roll, pull and stretch until you have a workable shape and a desired thickness. I do this on the back of a lightly-floured jelly roll pan to ease slipping into the oven and onto the cast iron griddle. Drizzle dough with olive oil and use crushed garlic clove as a brush to coat. Crack a little salt across the top and scatter with some herbs if you like. Smoked grouse meat drizzled with BBQ sauce. 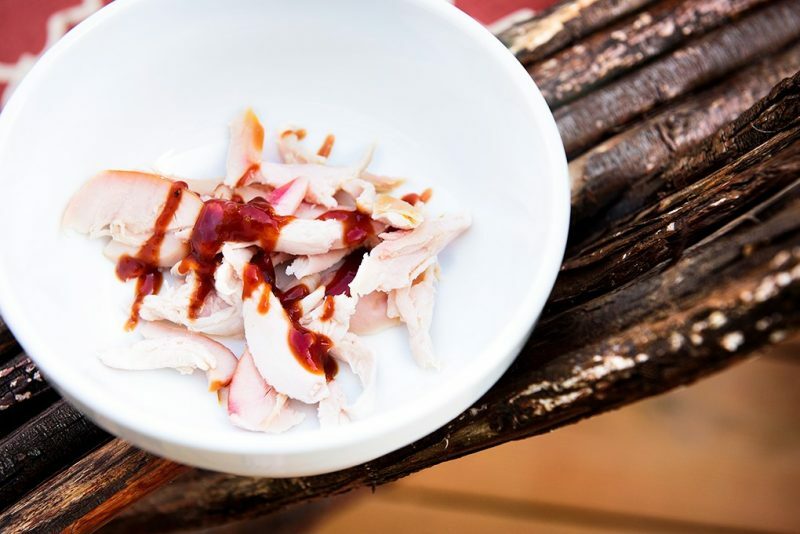 Toss the pulled smoked grouse breast with BBQ sauce to coat lightly. Spread arugula, pear and shallots over the crust. 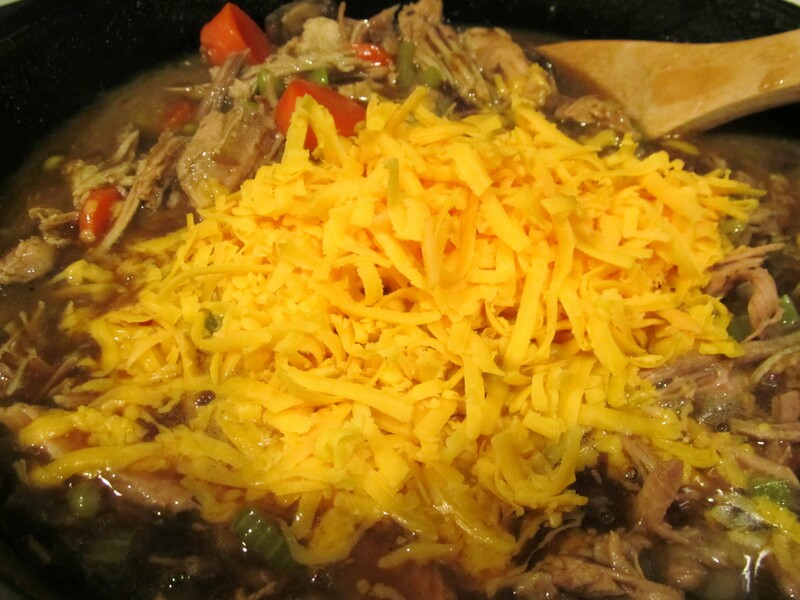 Add pulled grouse and shredded Gruyere. Slip carefully off the pan and onto the hot stone or griddle. Bake until crust is golden and cheese is bubbly. Rustic grouse pizza fresh from the oven. 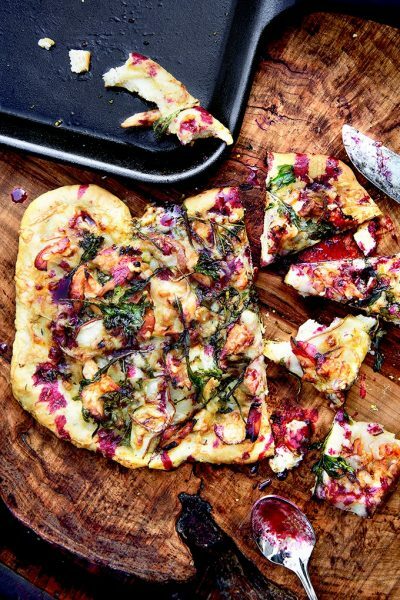 Top the pizza with blackberry reduction and then serve. Rip it, tear it, cut it up. No matter the method, it’s delicious. Salt doves well and let them rest while you make the sauce. To make the sauce, heat the butter. Sauté the onions for two minutes, then add the garlic and cook another minute. 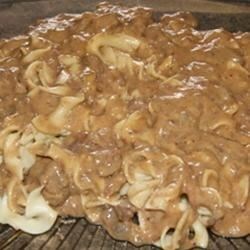 Mix in the remaining ingredients and simmer gently for 30 minutes, stirring gently. Turn off the heat and allow the sauce to cool a little. Pour it into a blender and puree, then return to clean pot. Keep warm over low heat. Coat the doves in the oil and get your grill very hot. Grill the doves breast side up, with the cover down, over medium-high to high heat for two minutes. Lift the cover and cover them with the BBQ sauce. Cover the grill again and grill for another 8 to 10 minutes, depending on how well-done you like your doves. Remove to a platter and add a little more sauce. Carve dove breasts from the bone and set aside. In a saucepan, add the red wine, barbecue sauce and teriyaki sauce and whisk together. Transfer the marinade to a bowl and dip the dove breasts into the liquid. Let soak for 1-4 hours. When ready to cook, set the oven to broil. Slice the figs in half and skewer the dove breasts and fresh figs. Place on a sheet tray with a rack and cook in the oven for 10 minutes, rotating the skewers halfway through. Let cool and serve at your dinner party! These are great appetizers. Halve the birds, effectively removing the breastbone. Soak the halves in buttermilk for 6 to 12 hours in the refrigerator. Remove the birds from the buttermilk, season well with salt and pepper, and dip in flour. Shake off the excess flour and refrigerate them for at least half an hour. Heat a few inches of oil to 375 degrees in a fryer or large pot. Melt the butter, then combine it with honey, garlic and hot sauce in a large bowl. Fry the birds in batches until golden brown and crisp, approximately 3 or 4 minutes. Toss the fried birds with the melted butter mixture, add the jalapeños and herbs. This is a really easy dish to make, but you do need the bay leaves and fresh sage, and Spanish smoked paprika is important to this dish. Many good supermarkets offer it, and you can also buy it online. If you can’t find smoked paprika, regular sweet paprika is OK. Figure on 2 doves per person for a light lunch or an appetizer, or 3 to 6 for a main course. 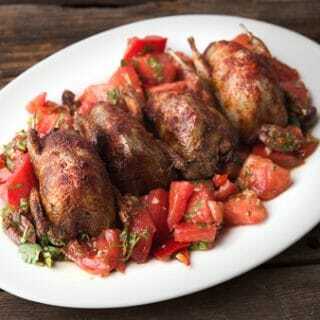 If you don’t have access to doves, squab is a great alternative. You could also do this with teal ducks, too. Ground camel is one of the leanest red meats around, and these burgers taste extra meaty because of it. It’s good to closely monitor their internal temperature with an instant-read thermometer, to avoid overcooking. Where to Buy: Ground camel meat is available in the Washington area at Wagshal’s Market in Northwest Washington (202-363-0777) and via several online purveyors, including ExoticMeatsMarket.com. Preheat the oven to 325 degrees. Heat a large cast-iron skillet over medium-high heat. Combine the camel meat, red onion, garlic, tamari, the cumin and coriander (to taste) and cilantro in a mixing bowl. Gently blend with your clean hands until well incorporated, then shape the mixture into 6 patties of equal size that are about 1 inch thick. Arrange them in the pan so they are not touching; cook for about 6 minutes or until nicely browned on the bottom, then turn them over. Transfer the skillet to the oven and cook for 6 to 8 minutes; after 5 minutes, begin spot-checking the internal temperature of the burgers with an instant-read thermometer. Pull them out at 140 degrees; let them rest (in the pan) for 5 minutes before serving on toasted, buttered buns.